- Reebok Ladies Crossover High Performance Pullover. - 100% Polyester 4.8 oz. - ¼ zip heather pullover, with plaited birds eye mesh on the inside. - Forward cover stitch seams to reduce chafing. - Side pocket for storage. - Self fabric mock neck, charcoal mesh color blocking on all colors. - Ladies has thumb holes in sleeve hems. 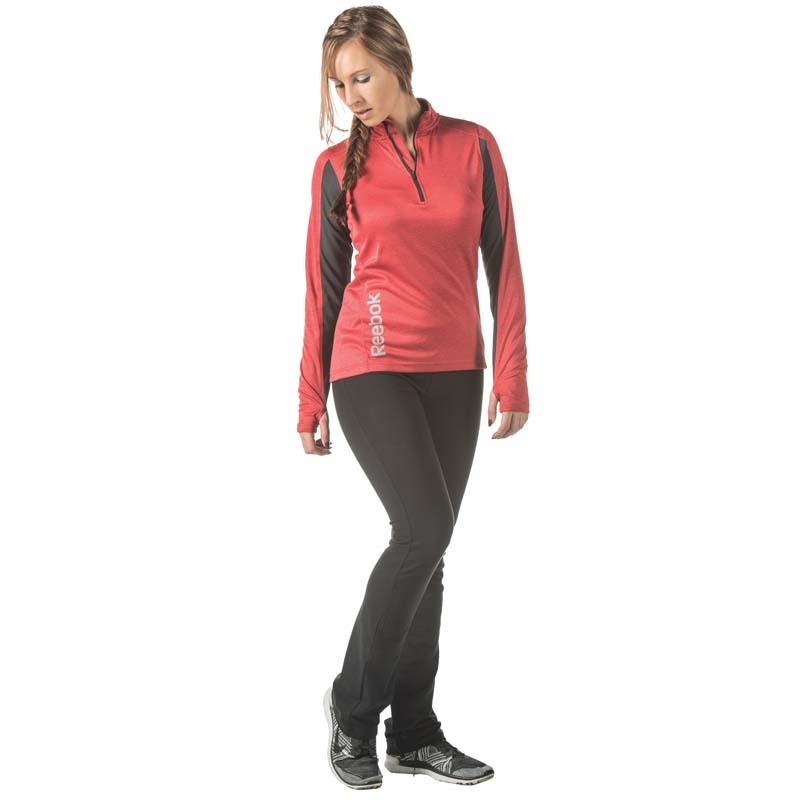 Reebok Ladies Crossover High Performance Pullover. 100% Polyester 4.8 oz. ¼ zip heather pullover, with plaited birds eye mesh on the inside. Forward cover stitch seams to reduce chafing. Side pocket for storage. Self fabric mock neck, charcoal mesh color blocking on all colors. Machine washable. Ladies has thumb holes in sleeve hems. Sizes: S-4XL. Colors: Black Heather, Charcoal Heather, Navy Heather, Red Heather. Style ships from Eldorado Springs, MO.